The journey from Hanoi to Ho Chi Minh is a classic adventure, and there’s no reason why the kids can’t come too. 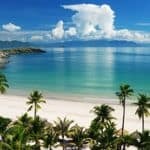 In fact, Vietnam makes a brilliant family destination, mixing activities like boat trips in Halong Bay and visits to turtle breeding centres with time out on some of South East Asia’s finest beaches. Travelling with children can be a daunting prospect but it can also be incredibly rewarding, providing memories and unlocking opportunities that are both educational and inspiring for all the family. We’ve made the whole process of planning easy and fun with our unique “experience” search facility. It’s designed to help parents discover a range of holiday ideas that can be refined by both a child’s age group and the family’s interests. To us, this is what tailor-making a holiday is all about. Many of our expert team have children themselves and they see absolutely no reason parenthood should curtail a passion to explore the world. As a result they’re always keen to pass on their destination knowledge and personal nuggets of advice. Vietnam is one of the most family-friendly destinations in South East Asia. Deciding where to go and when to go can be a challenge so our website not only has plenty of suggestions to inspire, it also features lots of practical advice and insider tips. You can search by age group (from infants to teenagers) and type of experience. Our month-by-month weather guide is invaluable in getting to grips with the country’s diverse regional climates. From the bustling city of Hanoi to the charm of Hoi An – a captivating town with Japanese, Chinese and European influences – and excellent beaches along the 2,000kms of coastline, our aim is to showcase Vietnam in a way that is both imaginative and accessible to families. Everything we do is tailor-made, from offering Vietnam’s tried and tested gems to more unusual and off-the-beaten-track experiences. 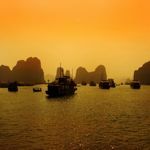 You can board a private junk for a discovery of iconic Halong Bay, take the overnight train out of Hanoi into rural Sapa and Mai Chau, experience a homestay in the ancient village of Ky Son or stay in a lodge in the Mekong Delta for example. The Land of the Blue Dragon constantly surprises and delights and, at Selective Asia, we do our very best to ensure its magic can be discovered and enjoyed at its best. 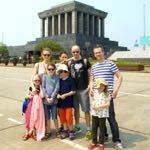 Find out more about our family holidays in Vietnam. * See our review of Selective Asia.